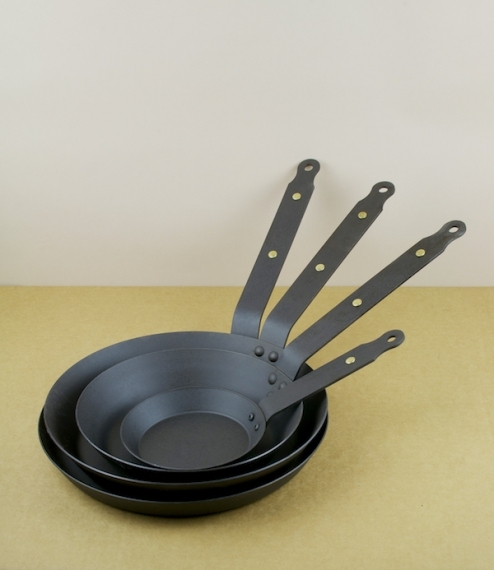 Hand spun frying, crepe, and blini pans from Netherton Foundry, a Shropshire company with a noted commitment to sustainable sourcing and local manufacturing. Seasoned with Sussex flax oil for a hardwearing, repairable, and naturally very low stick finish - which like all traditional iron and steel pans will improve rather than degrade with use and age. Suitable for use on all hobs, under the grill, and in the oven, and at the highest temperatures for flash frying and blackening meats, fish, or vegetables. 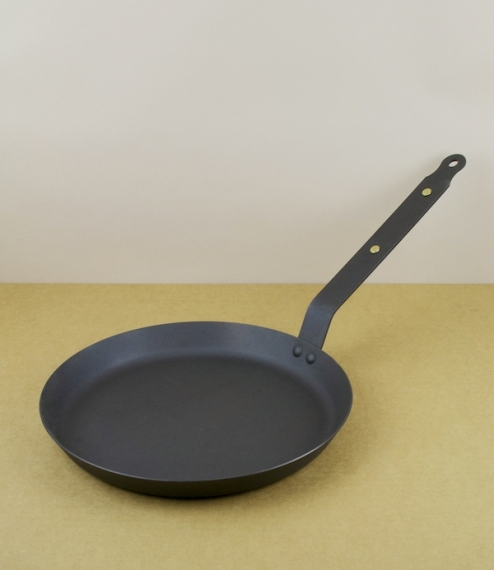 It’s worth remembering that by tradition frying pan sizes equal the diameter across the top and not of the base. This might seem a cheat to some (or perhaps not if you consider a wok) but after some consideration we thought it best to stick with standard practice.